I cant remember anymore how many times Ive ruined my aunts designer shoes and sandals as I go waving my hand while donning my fancy tiara, and walking back and forth from the kitchen area to the sala  and (giggling) sometimes, up and down the stairs too. My kind and gentle Aunt Dayzie was just living with us back then for several years to get a degree in the metropolis but, boy, was she mad when she found out! But hey, didnt we all do this when we were like seven or eight years old? I loved the feeling of being a fashion model or a beauty queen; in short, a celebrity. There were a few, if any, pageants for young ones during that time. Kids are a mile luckier now because kiddie contests, pageants and even fashion shows are commonplace.Lord & Taylor just announced recently that they are looking for chic or otherwise, exceptional children to be part of Back to School Fashion Shows at each of their many stores.Just last May 29 of this year became the official holding of casting calls for this particular fashion show for kids, which will be taking place at stores nationwide in August 21, 2010. This was obviously set on a Saturday to accommodate children who are going to schools during that time. Kids are sure to get excited but their parents seem to feel more anxious. The casting call dates for specific locations are viewable at their website (http://www.lordandtaylor.com/casting).Children from age 4 to 11 (with sizes 4-16 in girls, 4-20 in boys) are encouraged to join and be accompanied by their parents or legal guardians for a chance to be a part of the Back to School Fashion Show at your nearest Lord & Taylor. Sponsors for this kiddie fashion show include Guess Kids, Nina Kids, and Sperry Shoes; hence, kids are guaranteed to look and feel like a celebrity. Parents or legal guardians are required to provide one current color full-length or head shot photo and will have to fill out an application when they arrive at the casting site.The Back to School Fashion Show will take place simultaneously in all stores on Saturday, August 21, 2010 at 3 p.m but each stores casting will be held at different times. Every kid will get be given the opportunity to have his/her picture taken and be featured on Lord & Taylors Facebook page and website. He or she will also have a chance to win 0 worth of kids wardrobe  very much in time for the new school year! There will also be special events to be held between 1p.m. and 5p.m at each store so both parents and children will find it enjoyable as a family.By joining this fun occasion, your kids will have something to share when school officially begins once more. Therefore, missing this event would be a no-no. 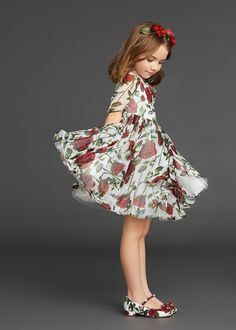 Visit Lord & Taylors website for your local L&Ts casting call time and brace yourself for a new and wonderful experience thats meant for you and your children. Isnt this a great way to end the summer? Fashion and fun, all in one!